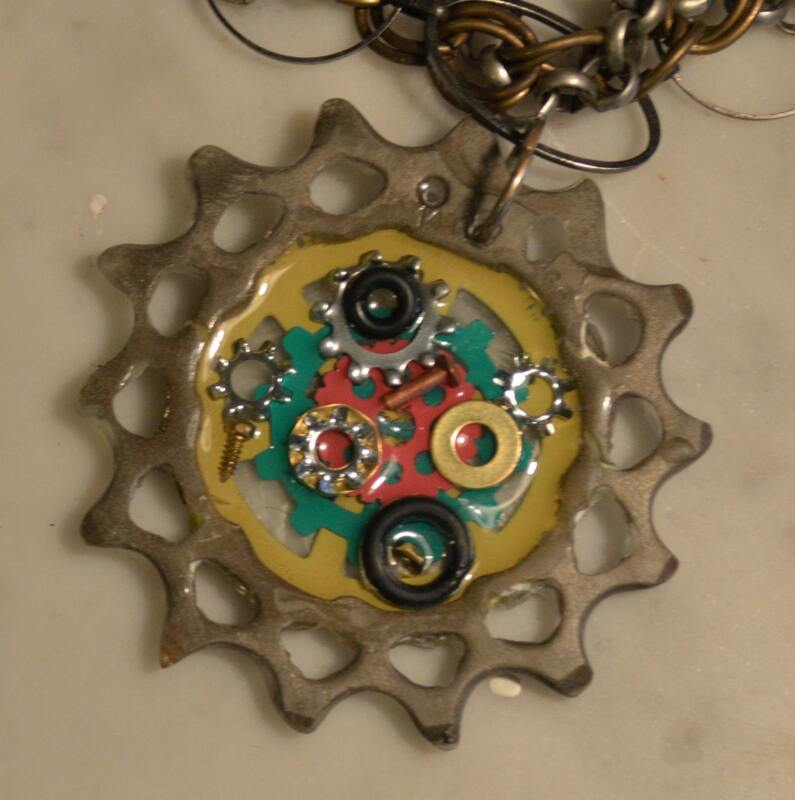 Colorful resin bike cog necklace. I made the cog by creating a silicone mold of an actual bike cog. 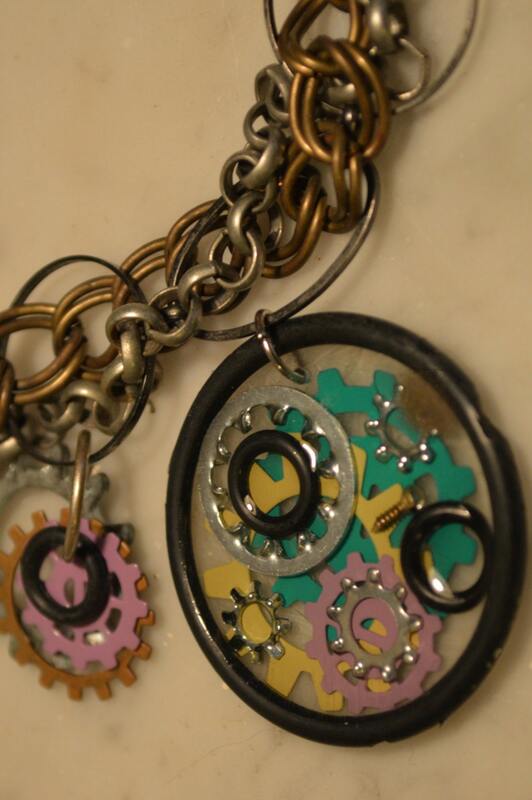 I then mixed silver nickel powder into clear resin and poured it into the mold to create a "metal" cog. It weighs less than an actual cog but looks exactly the same. 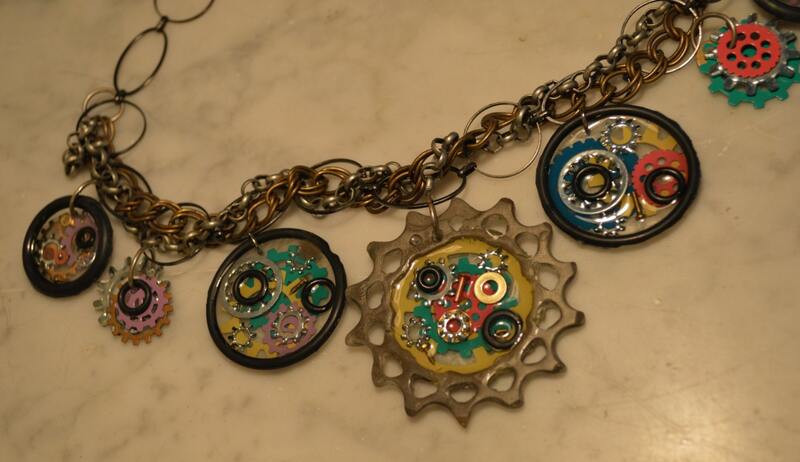 I then used clear resin to embed colorful steampunk gears and hardware washer into both the plastic cog and black rubber O-rings that are attached to a mixed-metal braided chain with a silver claw clasp. 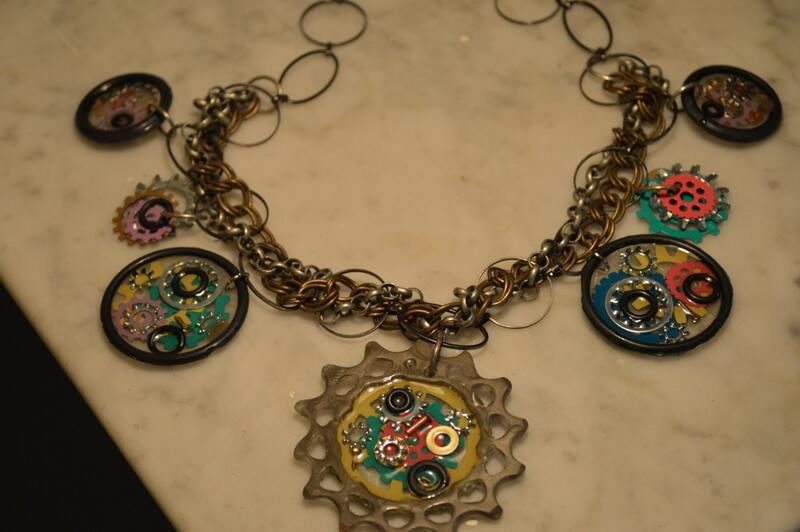 This rare and truly necklace is very special (and labor-intensive) because of the use of the mold to make the cog instead of using an actual bike cog.